Want to Increase your options for warfare? Well how about trying out these awesome addon factions! Created by fellow Glest modder Mr War, Astro Marines adds a new playable faction to Annex: Conquer the World. Mr War created the largest faction available for Annex, all with original unique units. They have the most heavily armored infantry in the game even without upgrades. With Strong, supporting Vehicles. However their increased firepower and armor means they cost more than similar units from the main factions. Astro Marines are now updated for Annex 4.0. Astro-Marines are the elite of Earth Forces, descended directly from the first Combat Astronauts of 21st Century. Deployed by dropship to the far reaches of the galaxy, Astro-Marines establish bridge-heads and respond to incursions by enemy forces. Of the millions of recruits who apply each year, only the best make it through training; training fatalities are high!!! Unzip archive into the “techs” folder in your application data path. Once Installed it will show up as its own techtree option, and select “Astro Marines” under techtree in custom game menu. Yea that is right, I made a mod of my own game. For fun I put together a faction using mostly re-skinned models from the other factions with some unused models. The theme is more of mecha influenced units, with of course female infantry. This faction is focused on infantry supported by long range combat vehicles. They lack in any heavily armored vehicles which can make prolonged battles difficult, however they do have numerous upgrades for their infantry, and vehicles. Currently they have a hero unit, Falcon but currently no super weapons. With an increasing global conflict over crystal energy, leads to unrest and civil war in the areas of the world not governed by the three main powers (Alliance, Republic, and Shadow) of the world. Rebels, Militias, and Gorilla factions, secretly backed by the great powers, are growing world wide. No where is this more prevalent than in the Southern Wastelands. Dozens of tribes in the area waged savage war over territory disputes. In the chaos rose the Crimson Maidens, who fight to end the conflict in the Southern Wastelands. The Maidens are a female only army consisting of many victiums of the war, from those who lost their family, to angry rebels, all the way to elite military defectors who are tired of fighting for someone else’s gain. For years the maidens used bribes and secret support from all world powers to amass a military large enough, and advanced enough to dissuade any military action in the region. Their ultimate goal is to end the world powers influence in the region using the very equipment that they sold to them. Once Installed it will show up as its own techtree option, and select “Crimson Maidens” under techtree in custom game menu. NOTE: I included The Astro Marines as a selectable faction, however you will need to install Astro Marines separately, otherwise selecting that faction will cause the game to crash. Today annexconquer.com is officially going live! This site is dedicated to the Open source video game “Annex: Conquer the World” and its Prequel CHASM. Annex: Conquer the World is a MegaGlest based Indie Game that brings fast paced combat with a diverse arsenal. Play as one of four factions: The East Ocean Alliance, the NEO Republic, the Shadow Organization, or the Renegades as they struggle for dominance all over the world, competeing for a priceless red mineral. The mod will contain 4 factions, over 30 tech trees, original maps, and tileset. 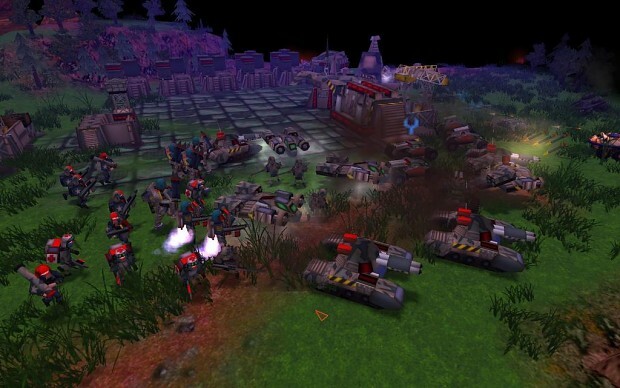 Built using open source RTS MegaGlest The focus of the mod is Multiplayer and Single Player skirmishes. Currently, no plans are in place for campaigns or story mode, however this may change once base game is complete. The mod will contain three factions, original maps, scenarios, and tileset. 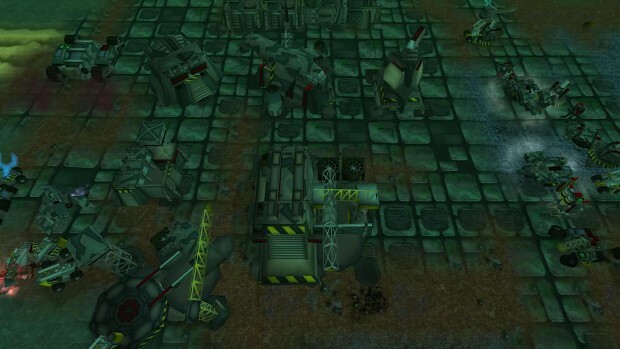 Built using open source RTS Megaglest (megaglest.org) The focus of the mod is Multiplayer and Single Player skirmishes. However there will also be scripted scenarios/missions! Also as of today Annex has a forum on Megaglest.org for Annex based discussions, mods, and maps. Feel free to make an account on these forums to leave your feedback and support this wonderful free RTS!